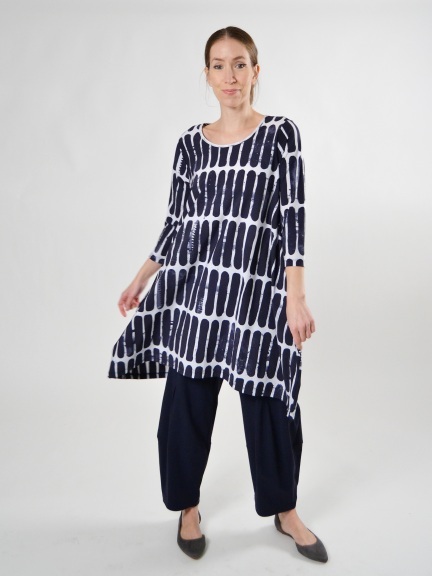 A-line tunic can also be worn as a dress, in wrinkle-free fabric perfect for travel. Bold navy and white print evokes artisanal techniques. Rounded neckline, bracelet length sleeves.